What kind of sock designs will stance provide? Will the team simply be providing the socks but the designs remain the typical ones we have grown to accustomed to? The MLB currently doesn’t have a major sponsorship with a sock company so the different equipment managers per team usually find the best options or deals to get socks for the players. 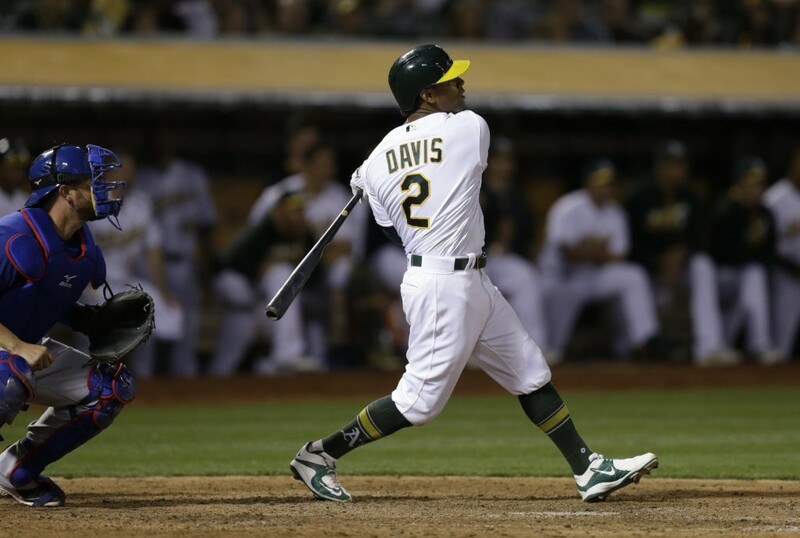 So will Stance also provide options for players to wear like Davis is in the above photo? If that’s the case, then that’s a big change for the baseball uniform in the league. For many years, it’s normally been a solid color for a sock or a team-approved stripe design. Stance isn’t known for these things and we could see something like what Davis is wearing. Already, players on the same team have worn different sock designs in the same game. Stance’s presence could mean more of that. So what will Stance have for the league? Will it simply just be their company manufacturing sock designs already in place or are we going to see more of a different kind of sock design? This entry was posted in Fashion, Logos, Merchandise, MLB, Uniforms & Design and tagged Stance. Bookmark the permalink.